Yesterday I posted a question, asking if anyone knew of a source for the waste fitting for an Astracast sink. Today, after phoning every single plumbers merchants for 30 miles, including Astracast suppliers, it seems I may as well have been asking for a return ticket to the moon. You can't get them. They're not sold separately, and the one that Astracast *do* sell won't fit a sink older than 3 years. So, for the want of a waste, the sink was lost. You can bet I'm not buying an Astracast again. Bog standard stainless steel for me - whatever the Mrs says. 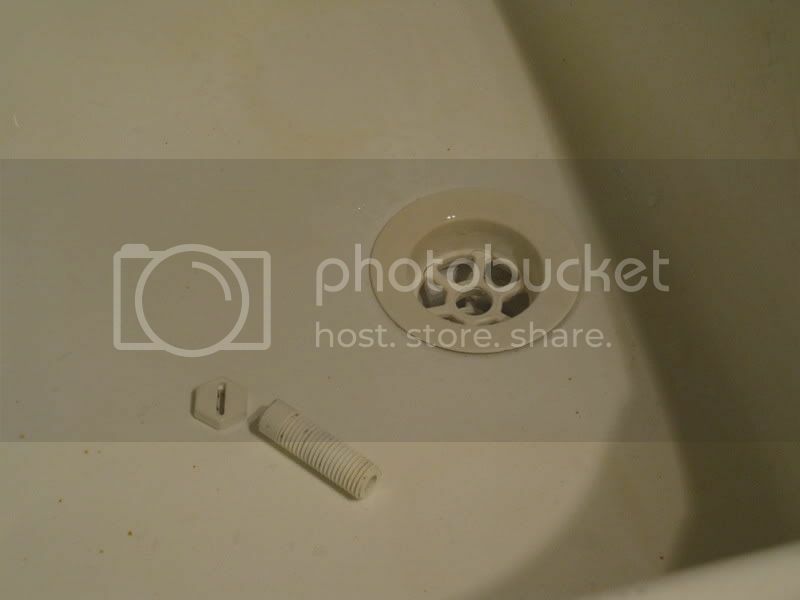 Unfortunately I inherited the sink, although even if I had bought it, I would never have imagined it needing scrapping because the waste can't be supplied. On a wider note, have you ever refused to buy anything, when the shop can't supply consumables ? I recall going to buy a MIG welder a few years ago, before they were hobbyist. We'd borrowed one, and had problems getting the brass feed nozzle. We were in the shop, selected a welder, went to the counter, and asked for 20 nozzles, which the sales assistant said "they didn't sell". So we left the welder at the counter, and walked out. Is it not possible to botch it up? It's only a waste fitting. Maybe if you posted a picture of the damaged part, someone would know where to get the spares? I've got 2 large storage boxes full of sink spares here, I'm sure others in the trade have too. Alan. in my case, it's the actual upper circular part which is cracked. Which means the plug doesn't seal. It's not leaking to the outside (small mercies) but leaking into the waste. That looks like a bog standard single sink strainer/outlet. What difference is it to a standard part? Any chance of a pic underneath? It most certainly is not a standard sink outlet. I have tried fitting the standard (stainless steel) one, and ignoring the fact it comes with an overflow (which this does not have), the profile of the composite sink just doesn't fit the standard top piece. Here's a series of photos I've taken ... apologies for plumbers mait. As far as I can see, the top piece *has* to have that profile. Anything else, and it won't seat into the sinkhole. I've got 2 here. The bigger one has a body diameter of around 63mm, the smaller around 53mm. They both have overflows, as do nearly all new ones, but the plugs are there to block them if not required. Now we're getting somewhere - assuming the metal part will fit into the sink profile. Where did you get those, please ? Plumbers Merchants, builders supplies, kitchen suppliers, or search online. You need to know the diameter of the top flange, and the main body. Anything else is superfluous. It doesnt matter if it has an overflow, they can be blocked off. And yes, it is a std. fitting, just not a very common one. You've not said what size it is. If it is a composite sink, do whatever is necessary on the back with car body filler. Finally the link worked - a standard waste set will fit that. You'll lose the knob control feature, but imho its no loss. If you fit stainless ones instead, they wont crack up, leak and break. I've had no truoble getiting replacement waste sets, as said. They use standard hole sizes and take standard waste sets. Methinks youre talking googlies. I have tried fitting a "standard" waste. It doesn't fit the hole in the sink, which has a custom profile. How to punch hole in paper? How long for sewer pipe to clear? Finding a local company to dispose of rubbish - paperwork?